“Our indirect losses of the war could be greater than direct ones,” economist Karlen Khachatryan told media on Tuesday, adding that, since the beginning of April, businesses have already shown more cautious behavior, and the unprecedented escalation of the conflict will have a negative impact on Armenia’s investment attractiveness. In April, the International Monetary Fund cut its forecast for economic growth in Armenia in 2016 by 0.3 percentage points and dropped it to 1.9 percent. To achieve the planned economic growth this year, concrete steps should be initiated and implemented, and a more aggressive economic policy should be conducted, said Khachatryan. He believes that through purposeful and targeted economic policy it will be possible to eliminate the losses of the war. “We need to promote the development of industry and especially the military industry. There is a need for more effective use of the economic potential of the Diaspora. And our products must be competitive in order to promote exports,” said the economist. 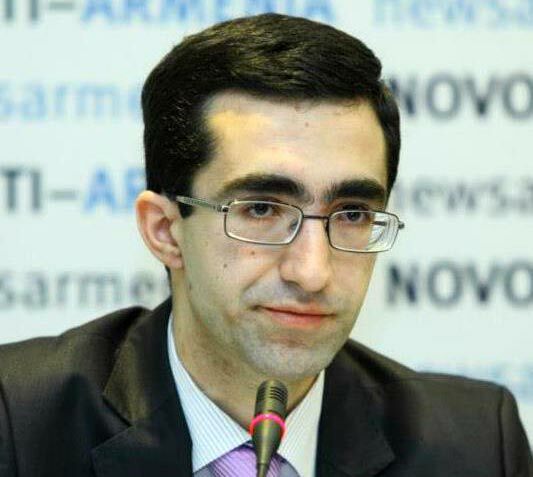 It is noteworthy that several days ago Economy Minister Artsvik Minasyan said that Armenia’s economy will not suffer any damage from the four-day war and all the developments will be as planned. However, not all stakes are in the government’s favor, in particular, there will be negative consequences for the economy if the government tries to meet the public demand and increase the military spending not to be left far behind Azerbaijan in the arms race. “Military expenditure growth has to be at the expense of reducing costs in other areas, and if we consider that the replenishment of arms should be carried out from the outside market, i.e. the financial resources will be pulled out of the country, then in terms of economy Armenia will suffer losses, but in terms of security this step can be justified,” he said. According to economist Ashot Khurshudyan, the increase in military spending may lead to recurrence of mistakes in the early 1990s. “Today it was proposed to exempt military spending from added value tax. This means implicitly to increase military spending. We have gone through this, you cannot imagine how much effort was taken to increase education and social spending,” the economist wrote on his Facebook account. “The more emotions and populism are promoted, the more you will contribute to appropriations. Raising the efficiency of management does not mean to militarize the country. Frontline fighters need a powerful economic and social support from the rear, but the current authorities are less concerned with it,” he added.